The Chamber Safety Tool™ for rifles is a must for any range bag. 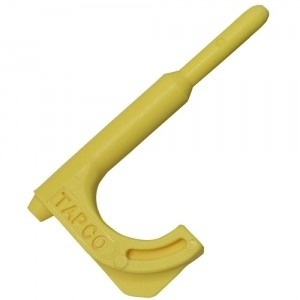 As a chamber flag, this tool’s yellow color clearly shows that the firearm is unloaded. Comes with a strengthened head for increased durability. In addition to serving as a chamber flag, the flattened edge on the corner of the head allows you to adjust the windage and elevation of your scope. The strengthened punch is also designed to push out the takedown pins on your AR-15/M16 without scratching the rifle.